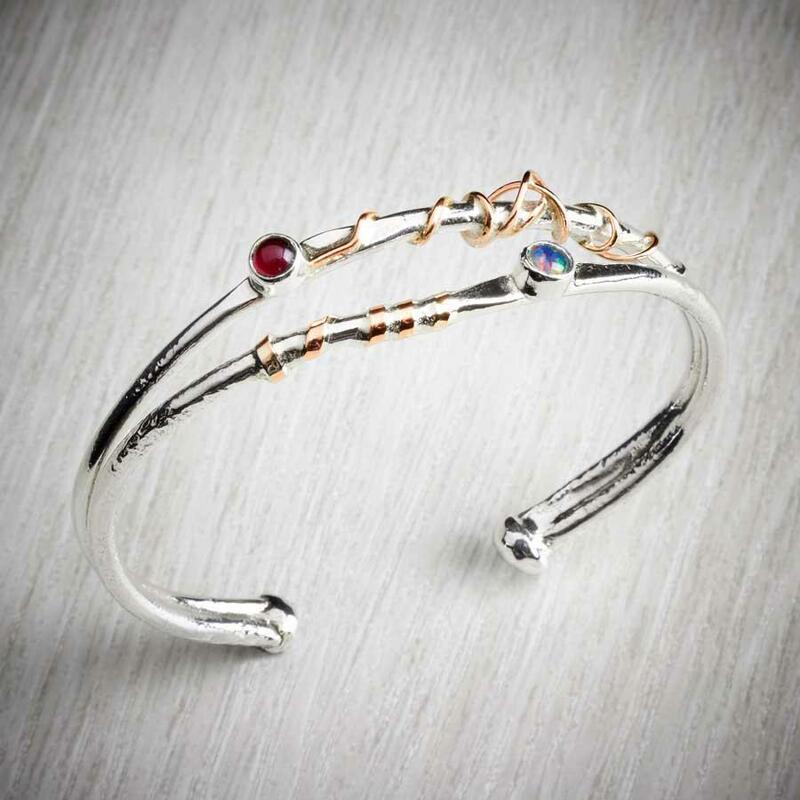 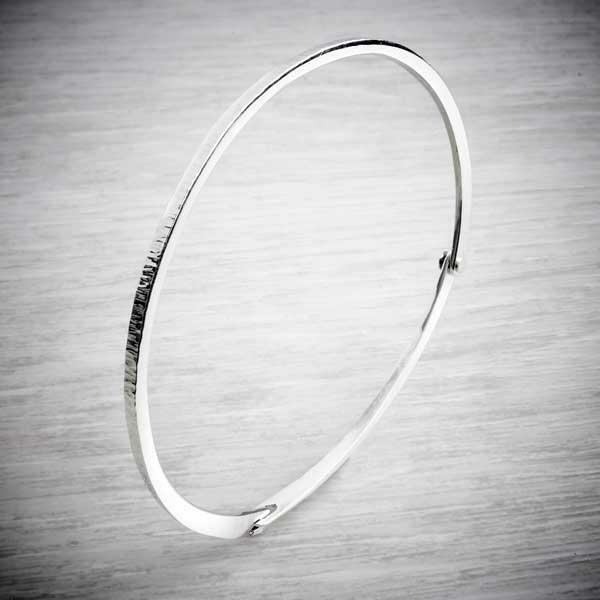 This beauty of a bangle has an extra special talent! 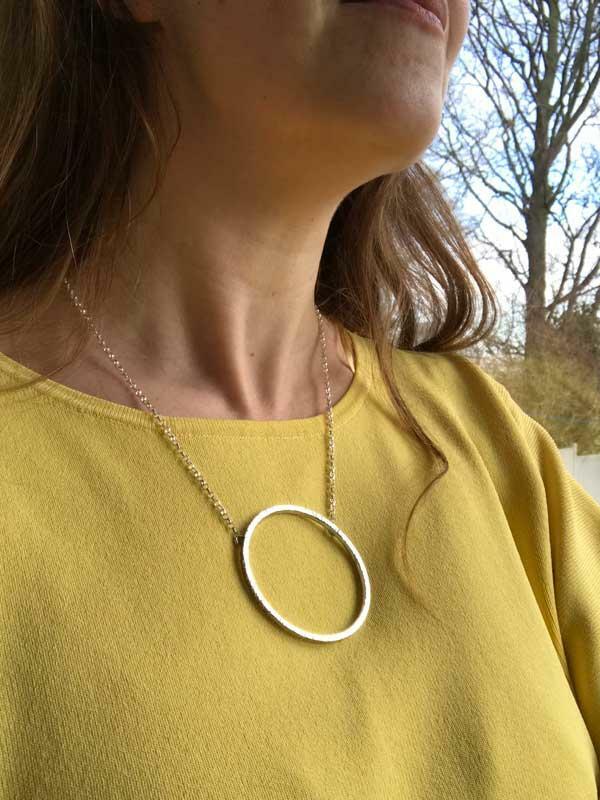 It opens! 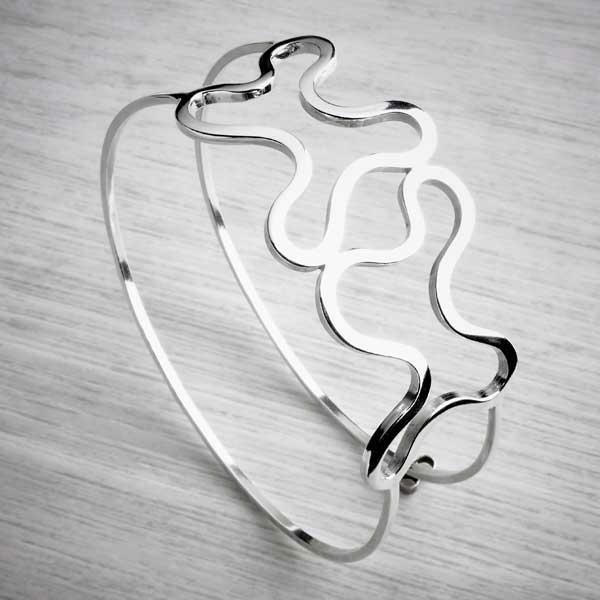 If you like bangles but find them too 'baggy' on your arm and you prefer a closer fit, then this is the piece for you. 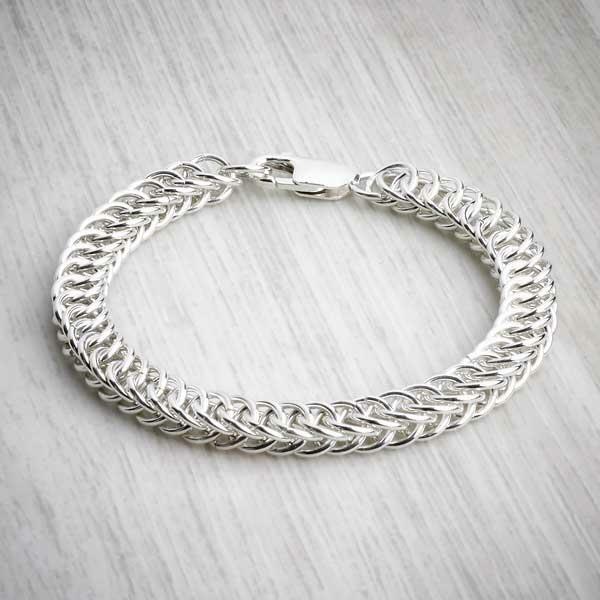 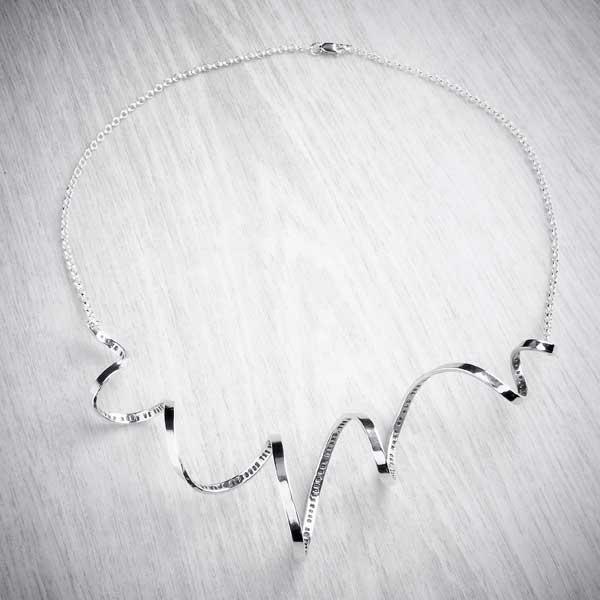 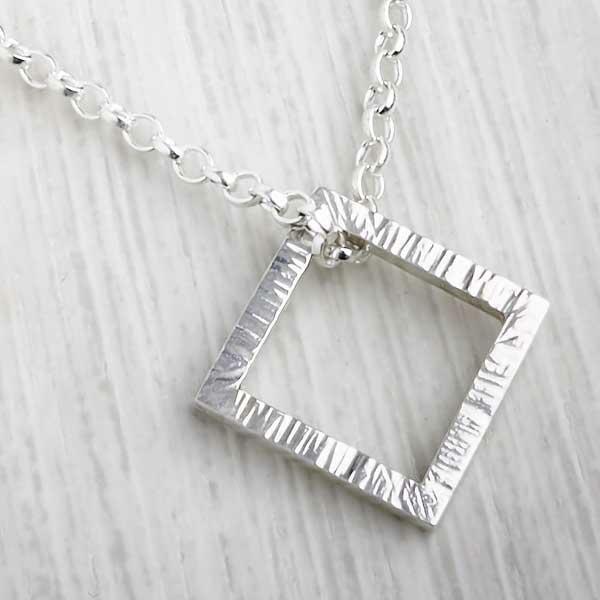 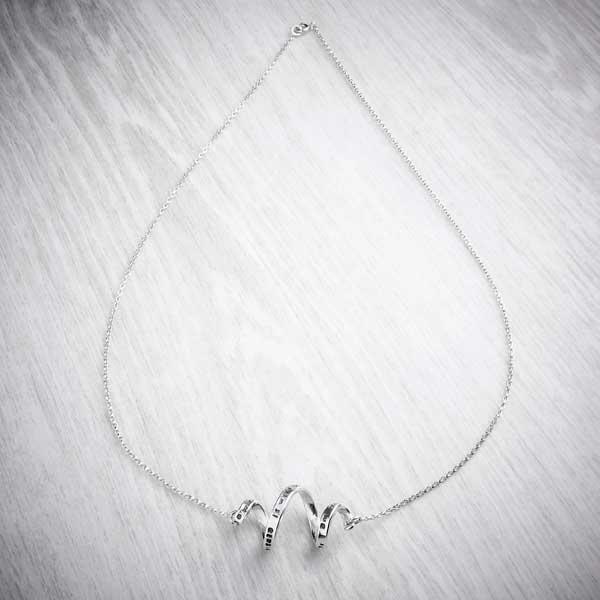 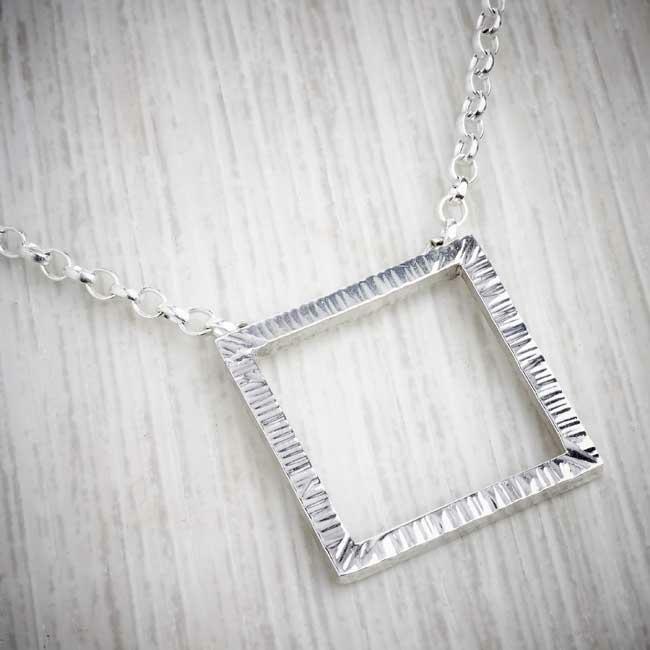 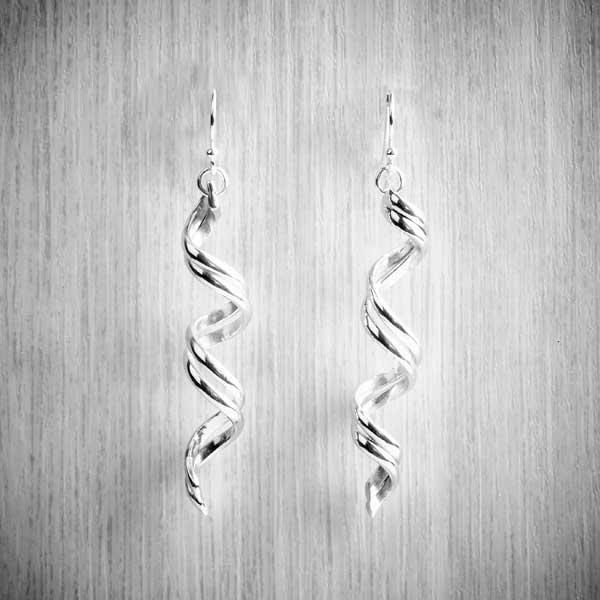 It has a simple hinge and a carved clasp that is held in place by the tension of the metal. 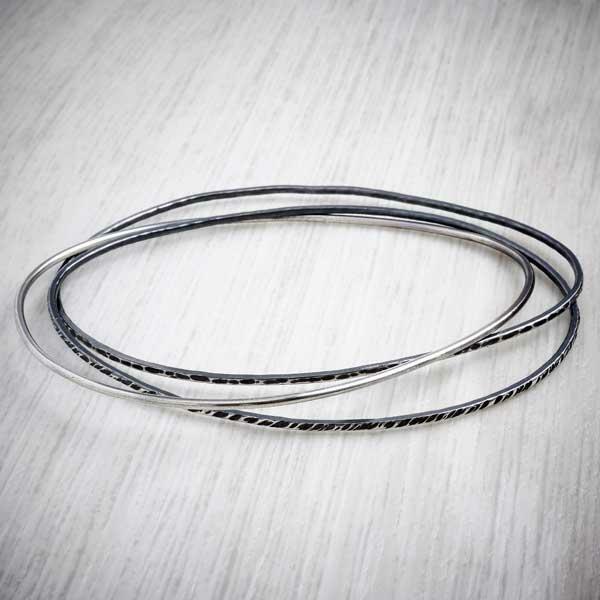 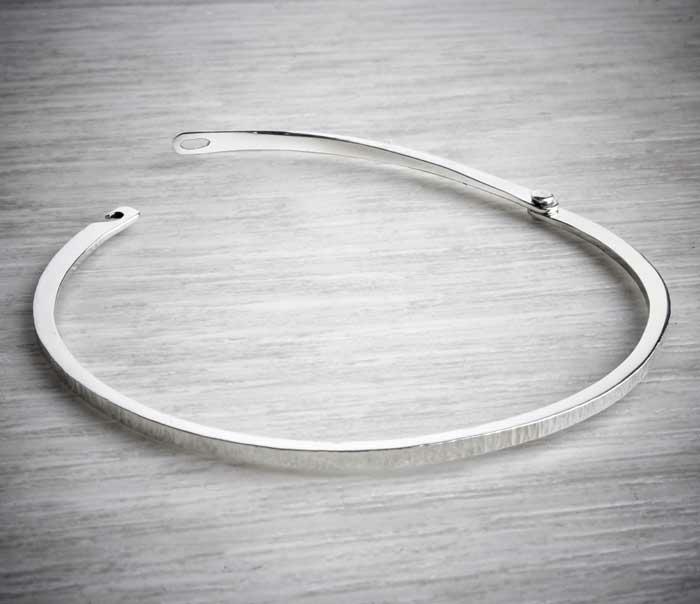 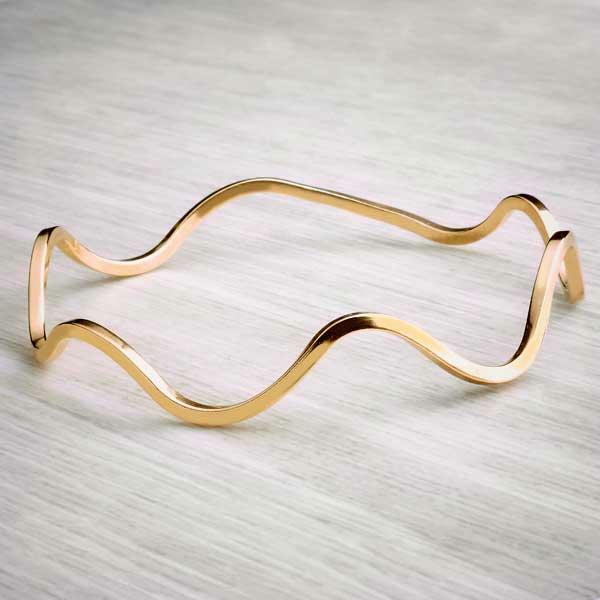 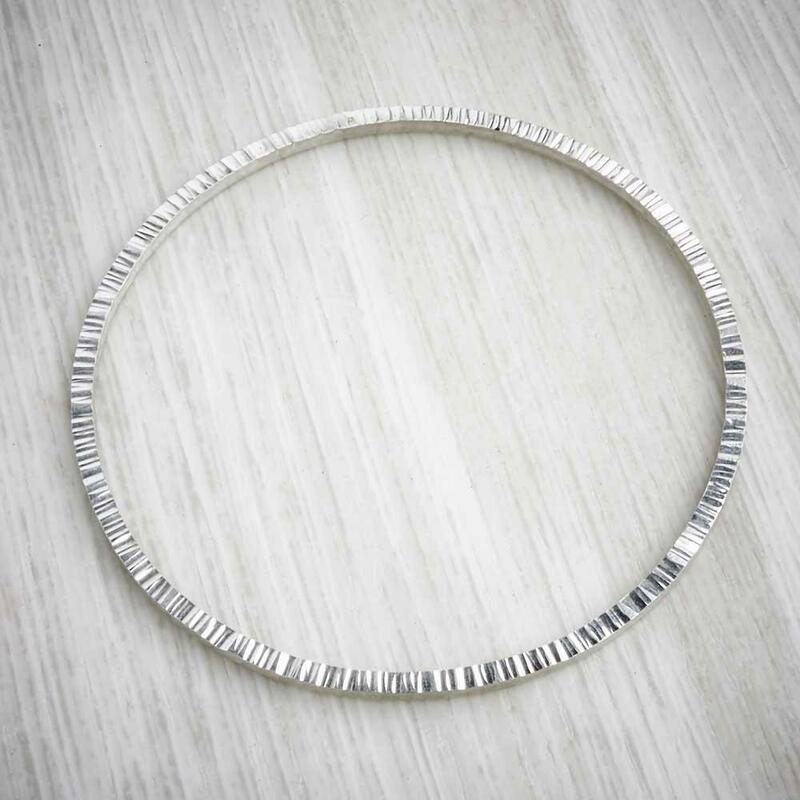 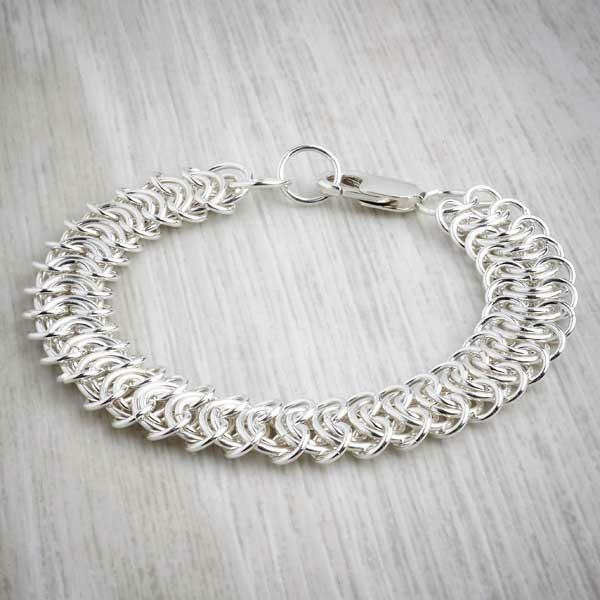 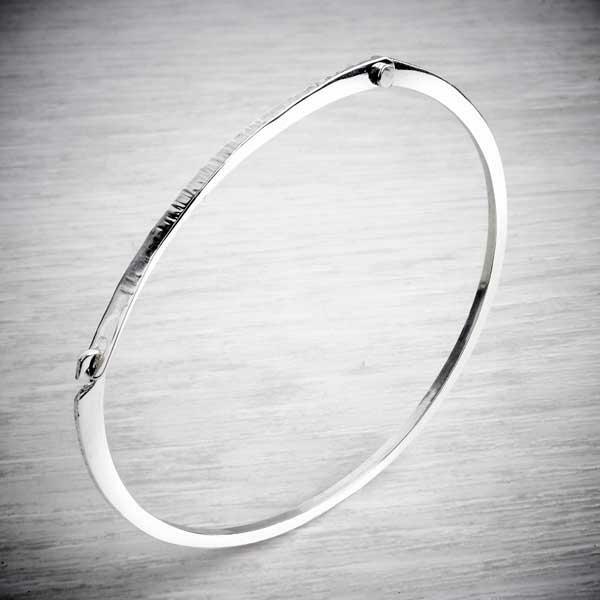 Made from 2x2mm square wire the bangle is forged to enable the hinge to work, so in places it is wider and narrower than others, whilst still maintaining it's crisp edges and interesting ridged texture. 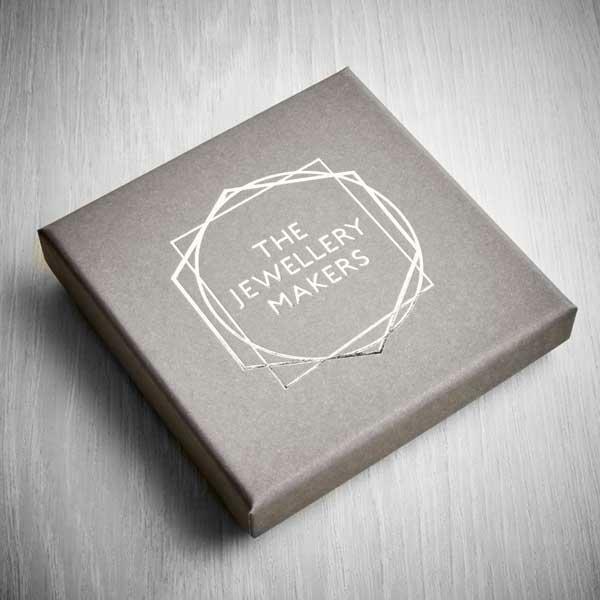 This comes in one of our beautiful matt grey boxes with our logo in hot foil on the top.